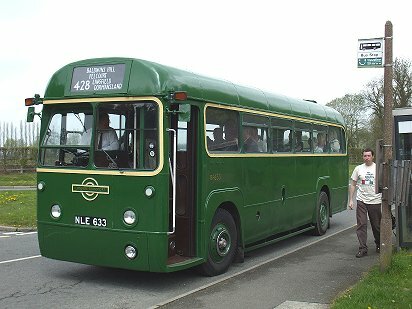 Prepared by Ian Smith, 13th May 2010. 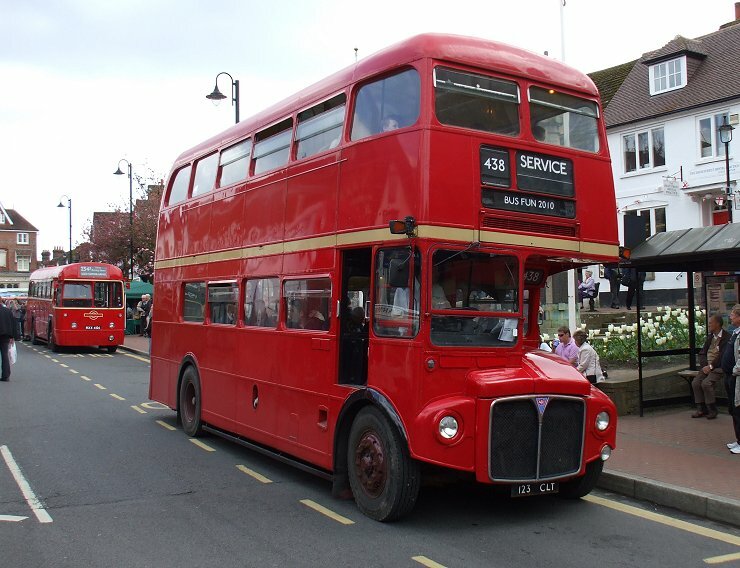 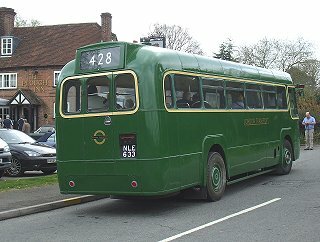 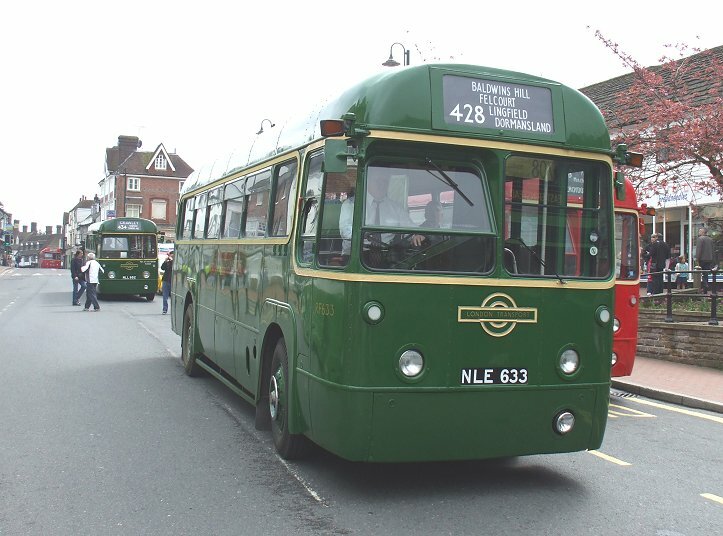 I joined RF633 for a short trip out to Dormansland via Lingfield. This would give me an opportunity to catch up with the winter's news from driver Colin Rivers. 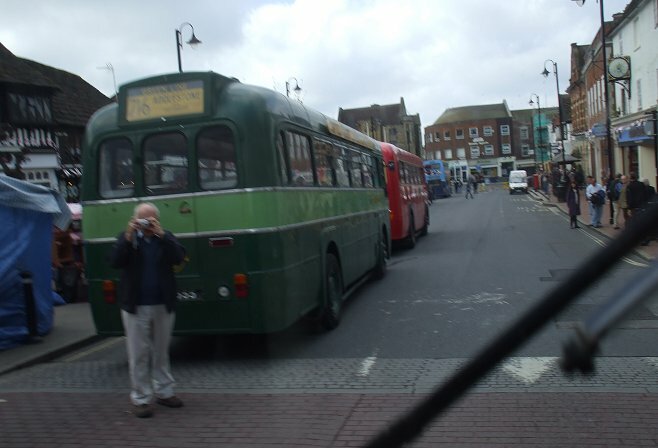 We loaded well at the War Memorial, and set off down towards the station. 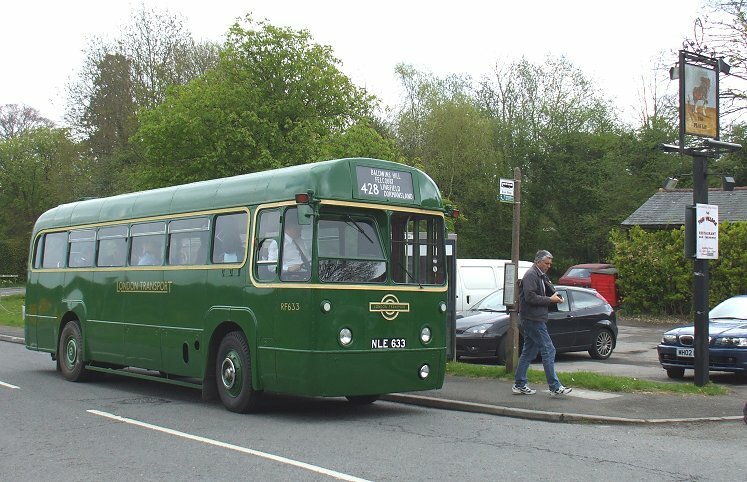 We met RT3148 returning from the station on the 409 to Forest Row. We went past the station, then north to cross the old railway bridges and head through Baldwins Hill to Lingfield. 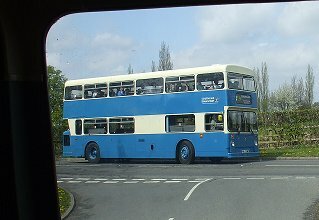 We paused for photos at the Post Office, and had just set off again when MB90 came trundling along on the 428 in the other direction. 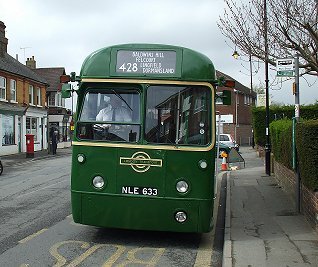 Setting off again, we completed the loop through Dormansland and headed back round through Lingfield and Baldwins Hill. 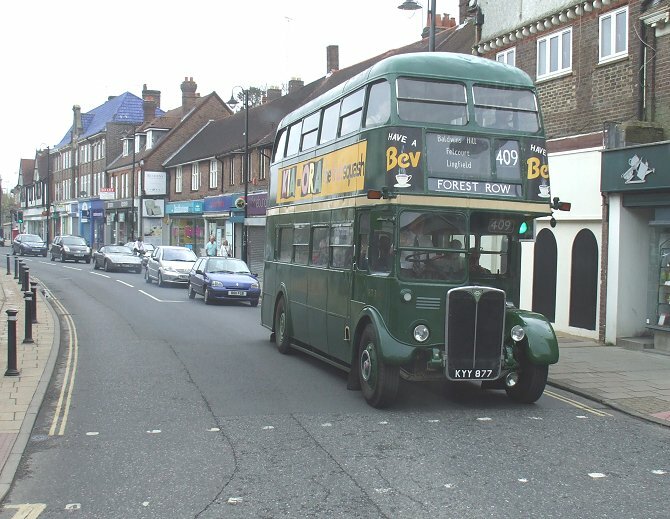 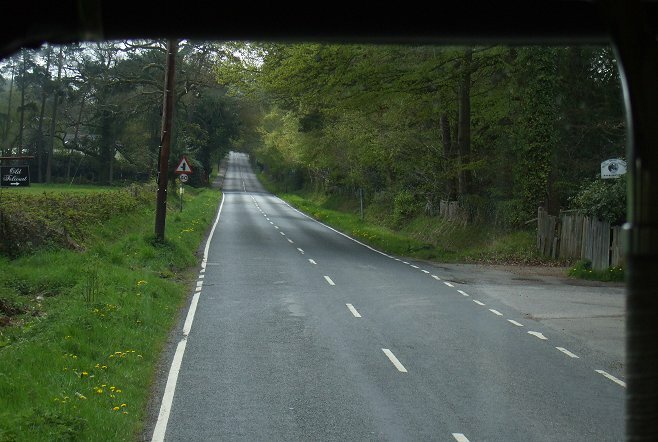 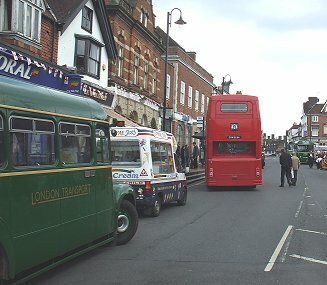 The bus was due straight out on another iteration of the same journey, so as we approached East Grinstead we turned left down onto the old railway, and bypassed the town centre, so as to approach the High Street from the east. 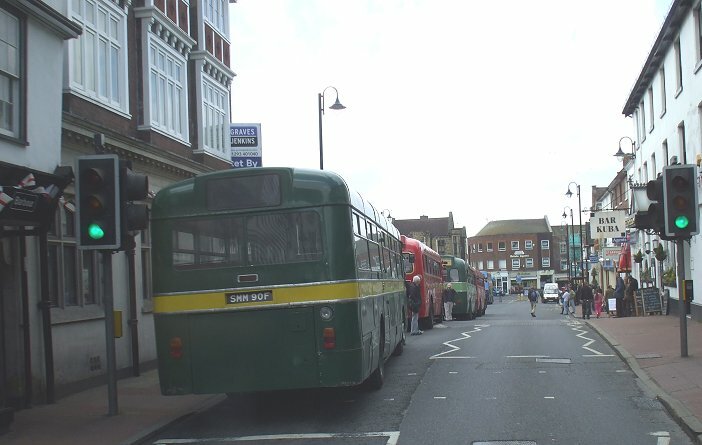 We picked our way into the "Buses Only" High Street, passing MB90 and other buses to reach the War Memorial stop. 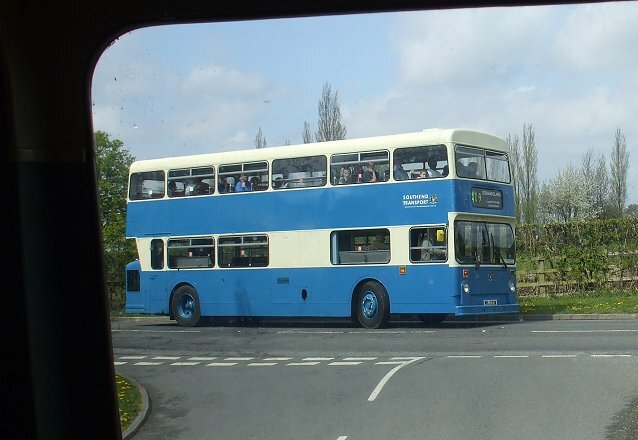 We exchanged one load of passengers for another, and headed off again to repeat the previous journey. 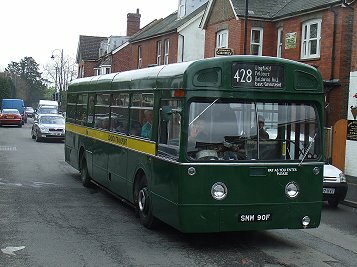 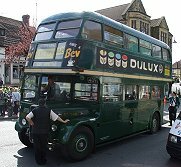 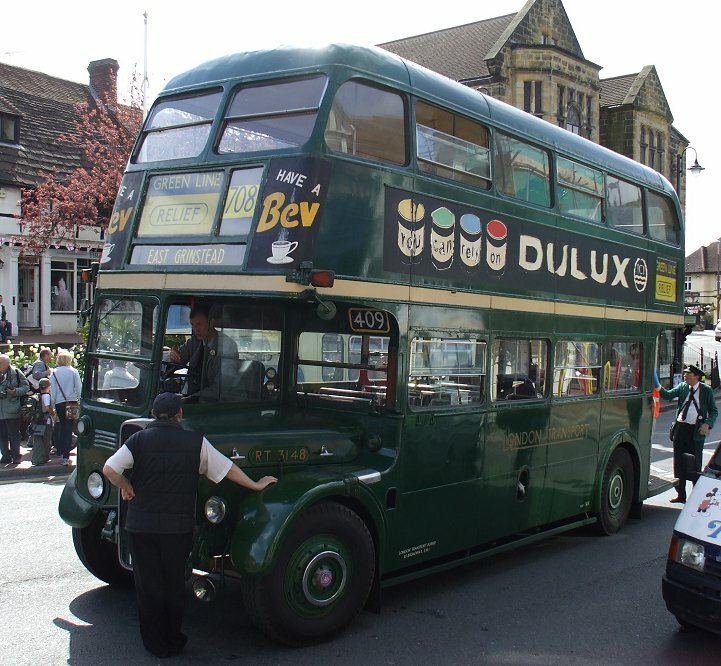 As we were leaving Dormansland the Southend Atlantean arrived on a terminating 409. At Lingfield we met MB90 once more, as it turned the corner ahead of us at the Post Office. 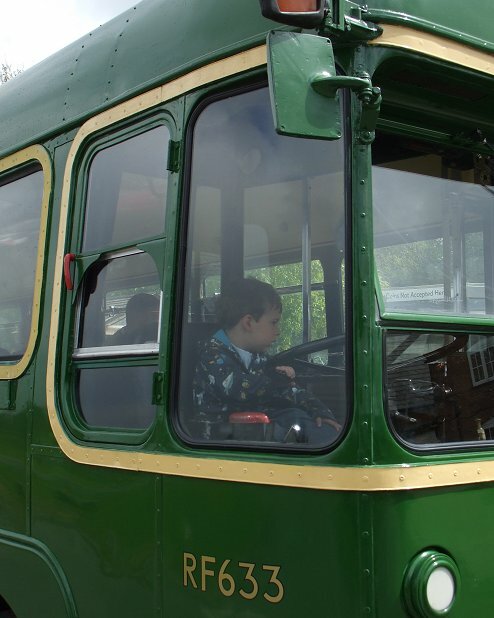 We headed back to East Grinstead through the brilliant greens of the Wealden countryside, and climbed the stiff little incline of Baldwins Hill. 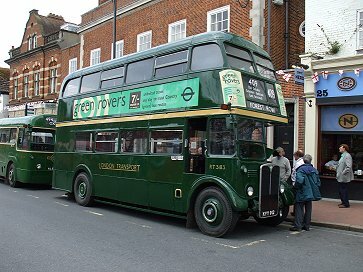 This time we approached the High Street in East Grinstead directly, and pulled past a line of green buses to find a stopping point. These included RT3183, which had retired from service with a clogged fuel filter, RF600 on the 494, SNC168 on the 409, and GS62. I went to find something to eat, and by the time that I returned a few minutes later the situation had changed. 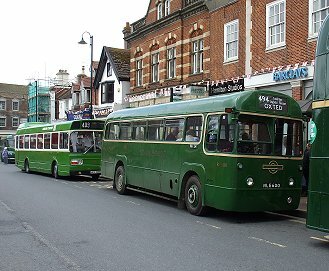 RF600 and SNC168 had departed, and DMS1868 was pulling in to the stop on an eastbound 424. Opposite, at the War Memorial stop, stood RM1123, heading towards Copthorne Bus Fun Day on the special 438 service.